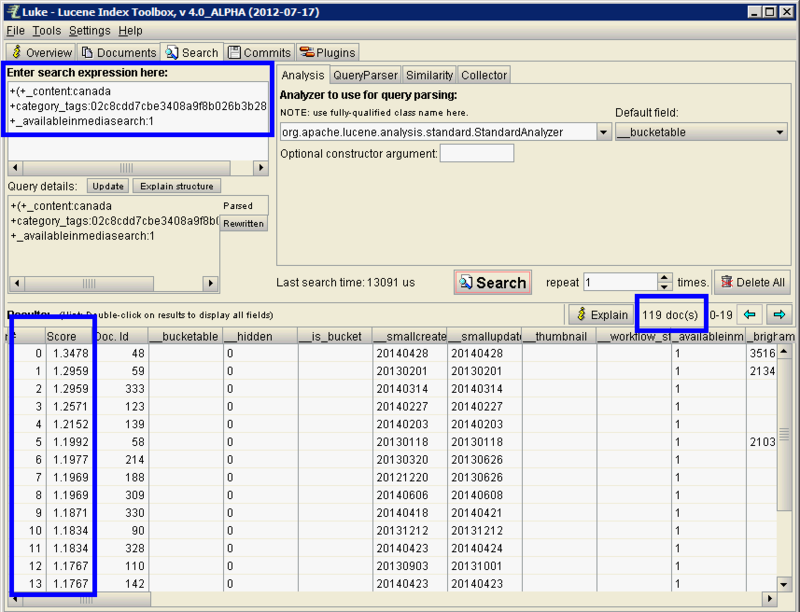 The introduction of the ContentSearch API is a very powerful part of Sitecore 7. It replaced the capable, but considerably more complex Advance Database Crawler created by Alex Shyba. And so began the era of big data in Sitecore. Being able to debug ContentSearch is a big part of learning how it works and using it successfully. So I'd like to focus on Lucene-powered ContentSearch and how I use Luke to debug it. Luke is a diagnostic tool for Lucene indexes. This tool is invaluable if we. Originally a Java-based tool, it's been ported to .NET as well. I've used both versions. To run the Java version, make sure you have Java installed. Double-click the lukeall-4.0.0-ALPHA.jar. The .NET version has an exe. Deep Breath. Try not to be overwhelmed. On the left, it's showing all the fields that exist in the index. All searchable text content is stored in _content the content field. In the above screen-cap, we've highlight _content and clicked Set. 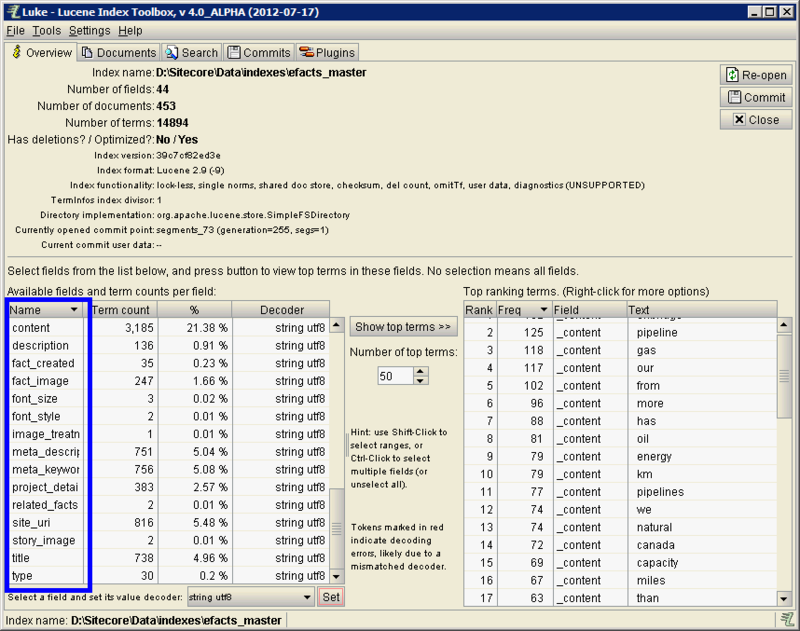 Now under Top ranking terms on the right we see the terms stored most frequently in _content. Note "pipeline" is found 125 times, "gas" is 118, et cetera. An interesting looking at the words we used. As mentioned, all indexed fields appear on the left. If you add a new mapped field or computedField, finding it in this list is a good indicator that it's been successfully configured. Switch over to the Documents tab. 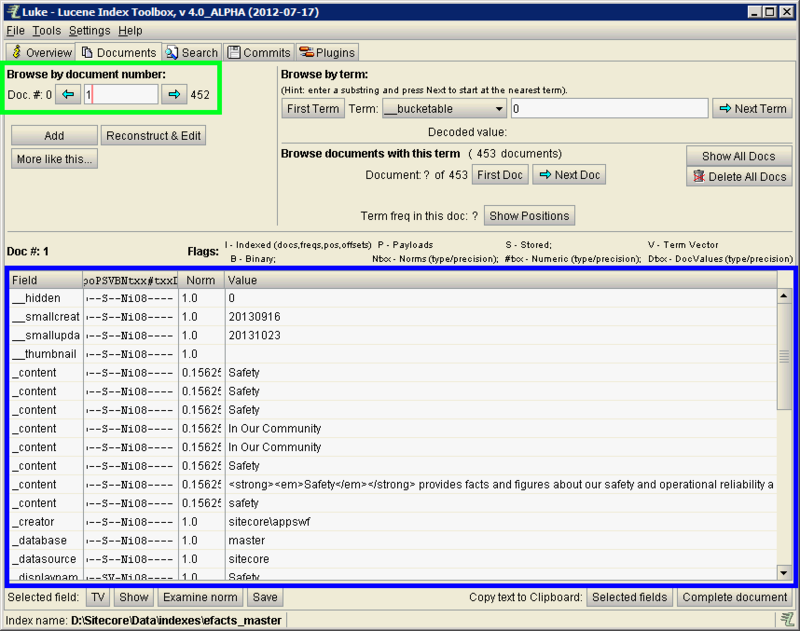 In this view, you can see all fields and values stored on a document (BLUE). You can traverse every document (document = a record in lucene) in the index, one at a time (GREEN). 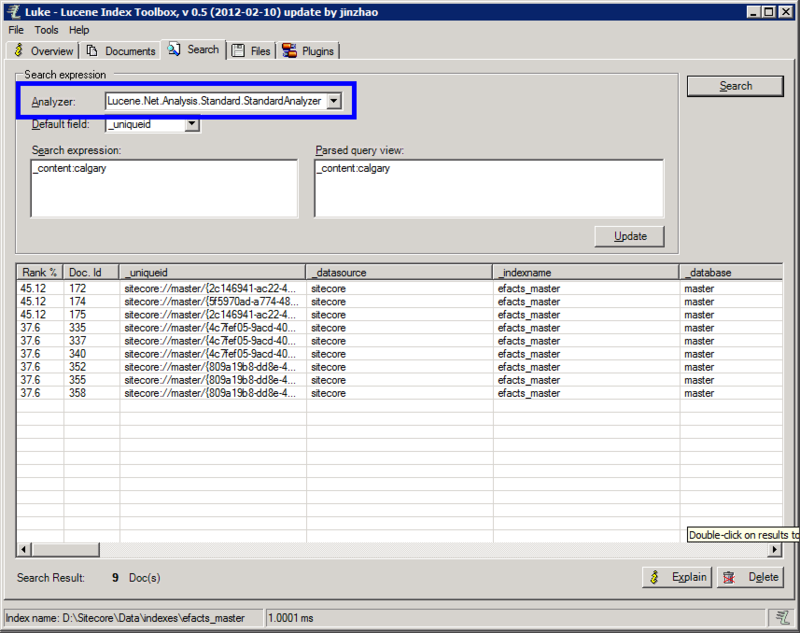 Filter the documents by field value to return a smaller set. In this case, I'm looking for all documents with category set to safety. 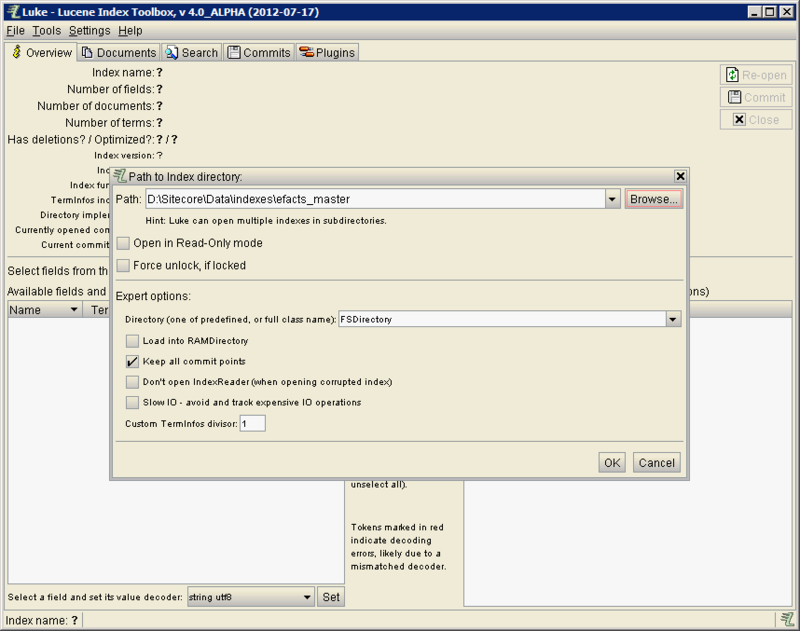 Luke also you test queries and see the value of fields returned in the document. Let's load the search tab and look at the screens. 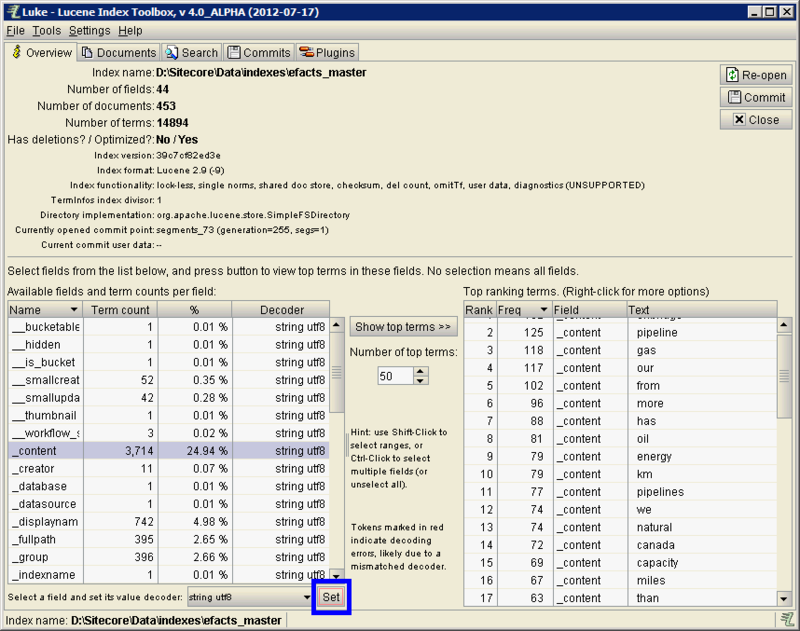 Breaking it down: _content:energy means I searching the _content field for term energy. Likewise, we're searching the type field for standard. _content contains tokenized (more on that later) text field content from the item. Where type is a ComputedField that I've added. The + before each makes them required matches, basically an AND. 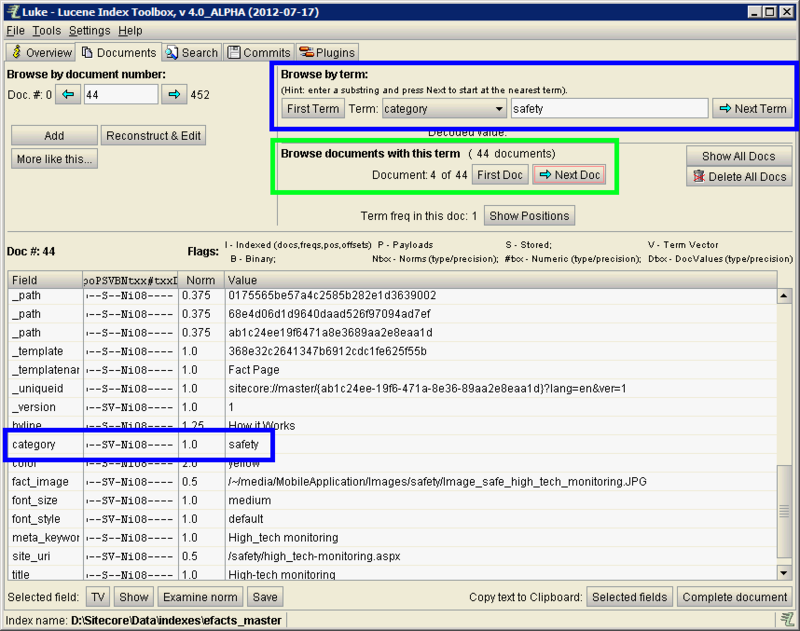 When logging is enabled every ContentSearch API call is logged to that file. 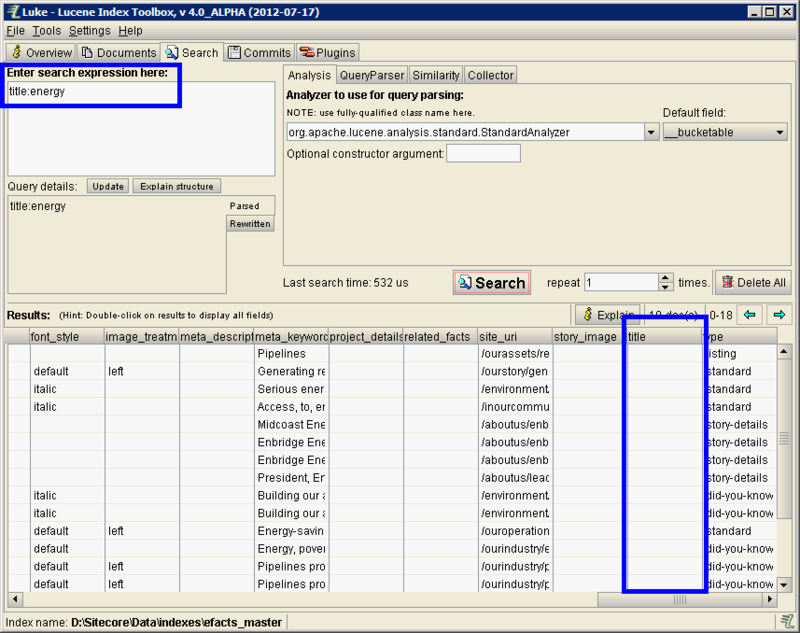 Making sure the verbosity of your logging is set to DEBUG, you should be able to do a find for ExecuteQueryAgainstLucene within your log file and locate the last Lucene-equivalent of your last ContentSearch query. I can copy and paste the query portion of that into Luke and see the results it returns. Note the relevancy of the results calculated under score and the 119 docs returned. For info on configuring the logs see this post on Sitecore's blog. If storageType is set to NO, the field on the document will always appear empty in Luke. The field has been indexed, and is searchable, it's just not stored on the document to be returned as a result. Here we're searching title:energy which returns results, yet notice the title field on each document is empty. 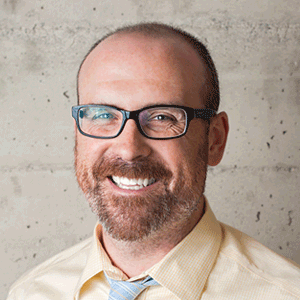 If you don't see the value populated in Luke, the value won't be accessible via ContentSearch. If a field is tokenized, it's been broken up word by word, each word stored individually for the purpose of search. If a field with the value of "Energy Is Good" was tokenized, its document would be returned when searching title:Energy or title:Good. If it was same field was set to untokenized, its document would only match title:Energy Is Good. 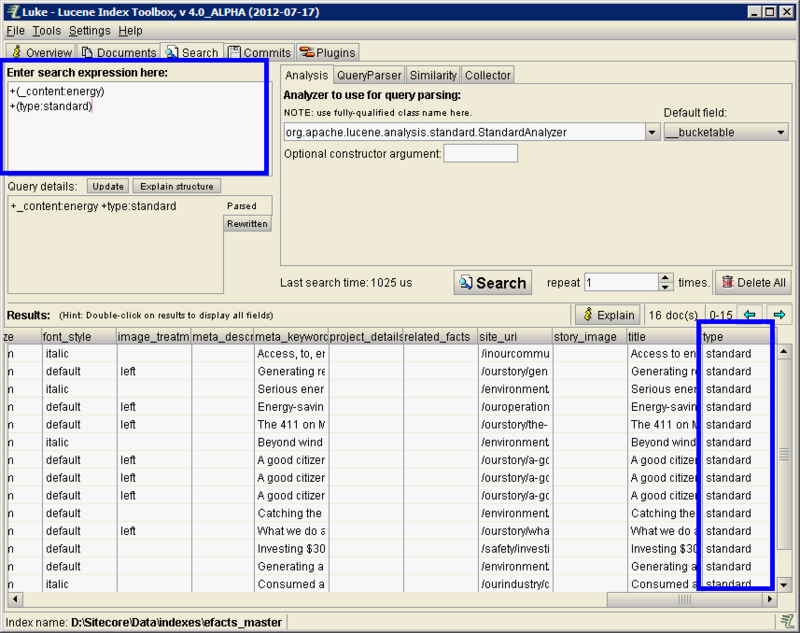 Lucene uses Analyzers to parse and retrieve content. For a simple example, Chinese would require a different Analyzer than English. So before we search, make sure we're executing our queries in Luke with the same analyzer that your Sitecore ContentSearch is using. 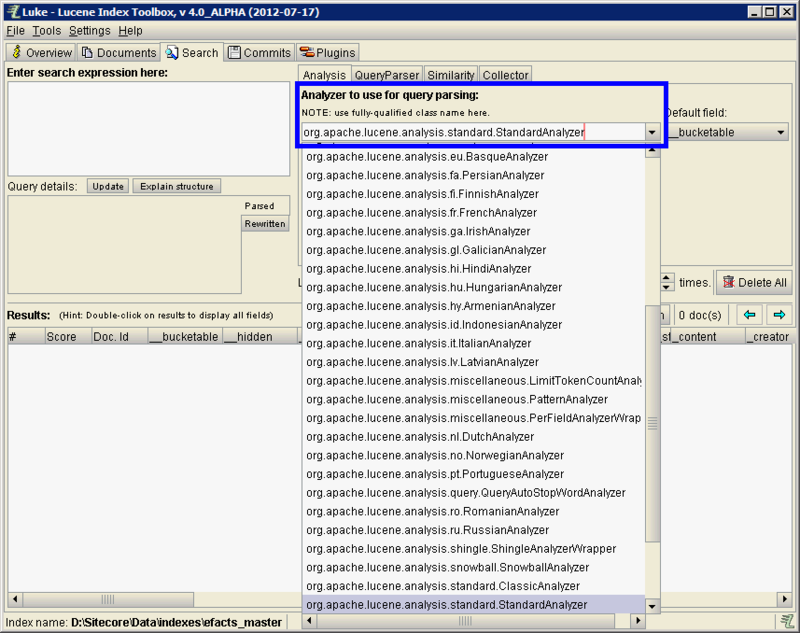 If you're using the Java version of Luke, you'll have to use the equivalent Analyzer. Here's the equivalent screen in Luke.NET. Lucene is technology onto itself. And to truly understand ContentSearch, you'll need to understand the technology powering it, under the hood. I've found Luke and Luke.NET to be comfortable tools to do just that. I've been working with Lucene in-depth via the Advanced Database Crawler and now ContentSearch for a number of years now. If you have any questions please find me on twitter @dancruickshank or leave a note in the comments.